If you have an hierarchically deterministic (HD) wallet and want to generate a unique address for each transaction, you can enter your extended public key (XPUB) and MyCryptoCheckout will do all the hard work for you! 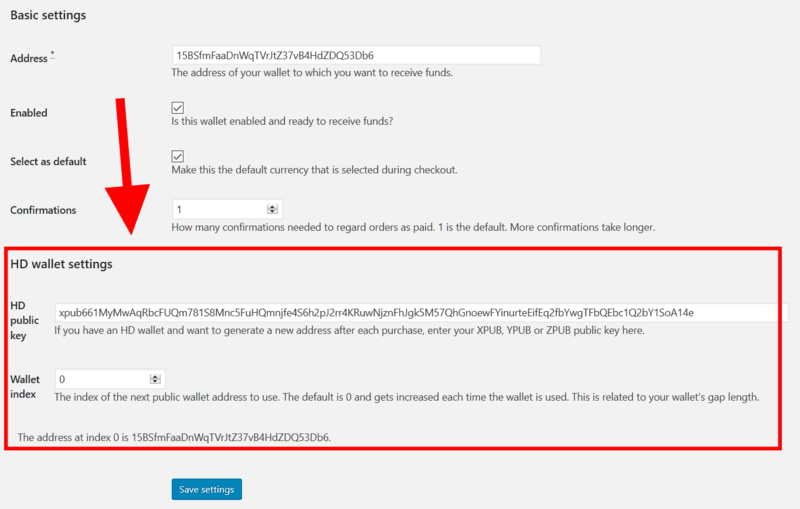 3) Scroll down and select a currency and enter the 1st wallet address you want the HD wallet to use. 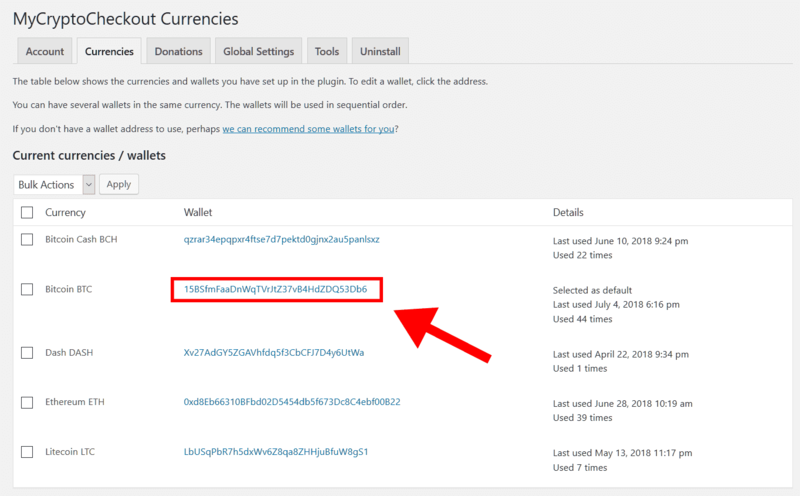 Note* If you already have a wallet setup for the currency you want to enable the HD wallet for you skip this step. 4) Click into the wallet options you want to enable the HD wallet for. 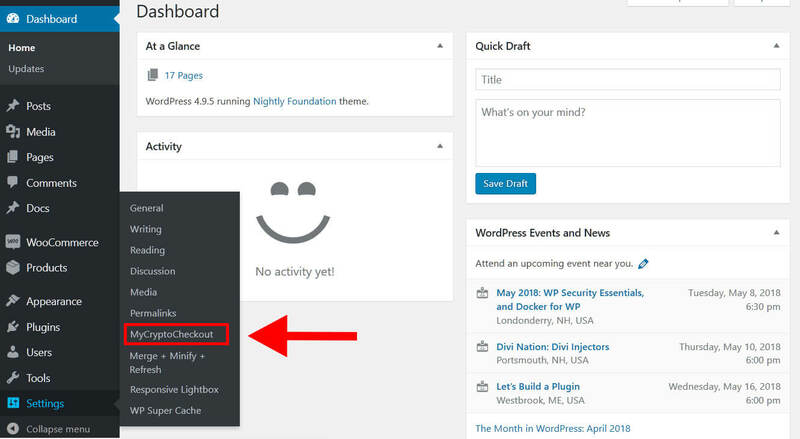 5) Enter your XPUB, YPUB, or ZPUB public key. You have the option of setting the wallet index as well. The default is 0 and gets increased each time the wallet is used. This is related to your HD wallet’s gap length. 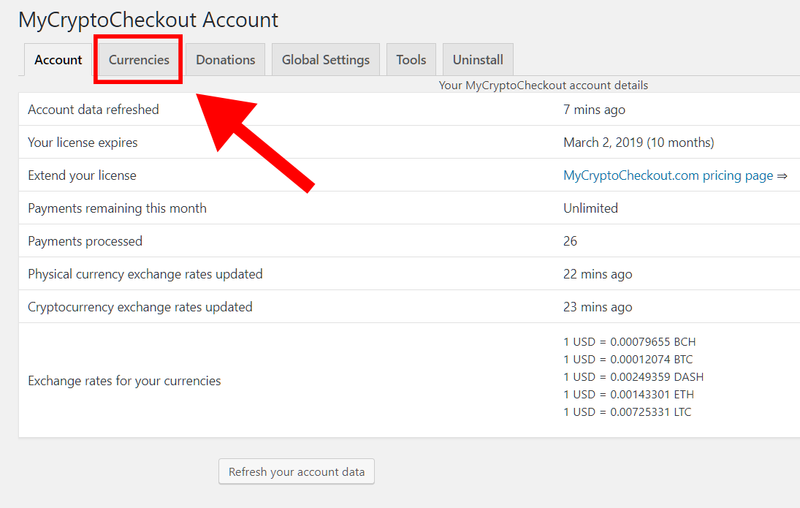 Once you save the settings the next wallet address at the chosen index will be displayed under the settings.